Caroline M. Grant is Editor-in-Chief of Literary Mama, named one of Writer’s Digest’s Best Websites for Writers, and the Associate Director of the Sustainable Arts Foundation. She co-edited the anthology Mama, PhD: Women Write about Motherhood and Academic Life (Rutgers University Press, 2008), which Bob Drago calls “easily the most important piece of work to date on academics and family issues, full-stop.” She holds a Ph.D. in Comparative Literature from the University of California at Berkeley, and has published essays in a variety of journals and anthologies. She grew up in suburban New York, eating only the produce grown by her father and grandfathers in their backyards and now, with her two young sons, raises what vegetables she can in their foggy San Francisco garden. She blogs regularly about food and books at her website. Lisa Catherine Harper is the author of A Double Life: Discovering Motherhood, which won the River Teeth Prize for Literary Nonfiction and was a top 10 pick of the National Book Critics Circle Small Press Highlights. Her writing has appeared in places including Gastronomica, Literary Mama, the San Francisco Chronicle, the Huffington Post, and Educating Tastes. She grew up in New Jersey and received her B.A. in English/Creative Writing at Princeton University. After she moved west, she learned to cook during the relative poverty of graduate school at UC Davis, where she received her M.A. in Creative Writing and Ph.D. in English. Since 1995, she’s lived and taught in the San Francisco Bay area, most recently in the MFA program at the University of San Francisco. She lives with her daughter, son, and husband, the artist Kory Heinzen, on the Peninsula, where the sun makes up for the suburbs. There’s more, including links to her writing, on her website where she maintains an occasional blog about topics other than food. 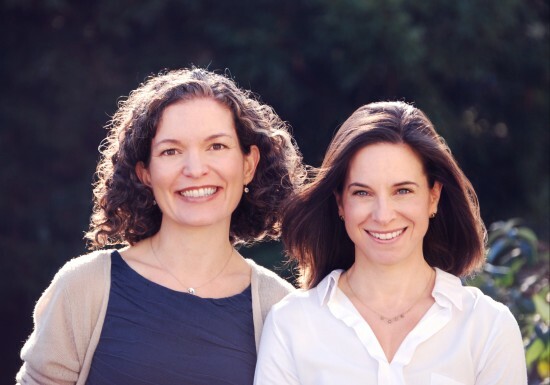 Caroline and Lisa met through Literary Mama and embarked on THE CASSOULET SAVED OUR MARRIAGE when their playground conversations about writing and feeding their four children under the age of six made their work on this book as inevitable as dinner. April 23, 2017 No articles on this date.